Place asparagus spears in steamer and cook on high until just starting to tenderize. Remove from the heat and drop into iced water for 3-4 minutes. Remove and pat dry. 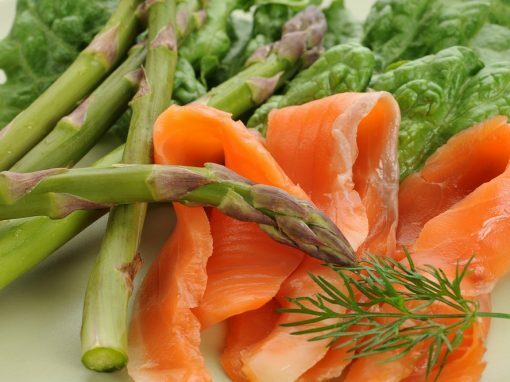 Arrange lettuce leaves, asparagus and rolled salmon slices over two serving plates. Combine all the ingredients for the dressing and mix well. Spoon over salad as required. Preparation and cooking time 6 minutes.